Well, my taste in music is best described as eclectic, and this is somewhat proven by my latest vinyl purchase, Jean Sibelius. Herbert von Karajan conducts the Berlin Philharmonic on this Deutsche Grammophon release from 1967, which happens to be the year I was born. The vinyl is absolutely perfect, not a pop or a crackle anywhere, and the vinyl is pretty heavy, 160g maybe. I had been listening to a podcast on the composition ‘Finlandia’ and found it quite interesting, hence this purchase. I think it may have been a BBC podcast but can’t remember right now. Finlandia, Op. 26 is a symphonic poem by the Finnish composer Jean Sibelius. It was written in 1899 and revised in 1900. The piece was composed for the Press Celebrations of 1899, a covert protest against increasing censorship from the Russian Empire, and was the last of seven pieces performed as an accompaniment to a tableau depicting episodes from Finnish history. The premiere was on July 2, 1900 in Helsinki with the Helsinki Philharmonic Society conducted by Robert Kajanus. A typical performance takes anywhere from 7½ to 9 minutes. In order to avoid Russian censorship, Finlandia had to be performed under alternative names at various musical concerts. Titles under which the piece masqueraded were numerous, a famous example being Happy Feelings at the awakening of Finnish Spring, and A Scandinavian Choral March. Although initially composed for orchestra, in 1900 Sibelius arranged the entire work for solo piano. 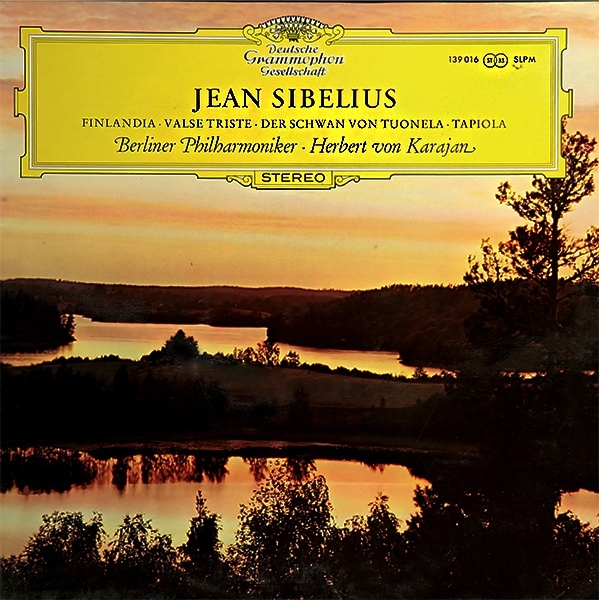 Sibelius later reworked the Finlandia Hymn into a stand-alone piece. This hymn, with words written in 1941 by Veikko Antero Koskenniemi, is one of the most important national songs of Finland (though Maamme is the national anthem). With different words, it is also sung as a Christian hymn (Be Still, My Soul; also Hail, Festal Day), and was the national anthem of the short-lived African state of Biafra (Land of the Rising Sun). In the spring of 1963, the Rice University student body voted to establish a school song (Rice is Our Home), using the music from the Finlandia Hymn. The song was played at the 1964 Rice Commencement, but otherwise never officially adopted.